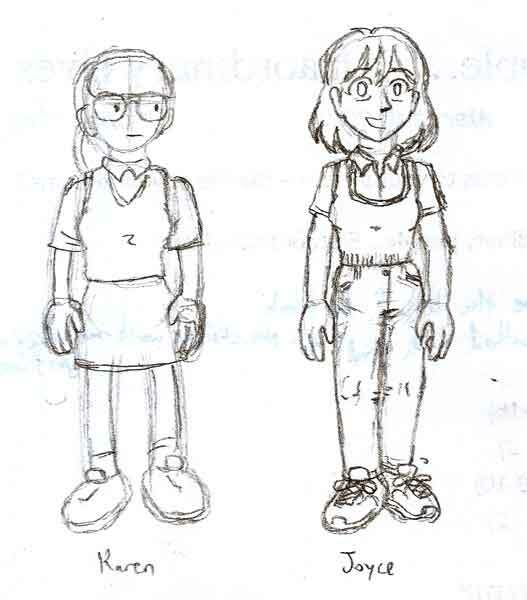 Sketches of Joyce from It’s Walky/Dumbing of Age and Karen from that thing I do with the words and the pictures. Drawn for comparison. My character designs are more cartoony. Not that David Willis’ style was hyper-realistic to begin with. This entry was posted on March 29, 2011 at 8:06 pm and is filed under Uncategorized. You can follow any responses to this entry through the RSS 2.0 feed. You can leave a response, or trackback from your own site.